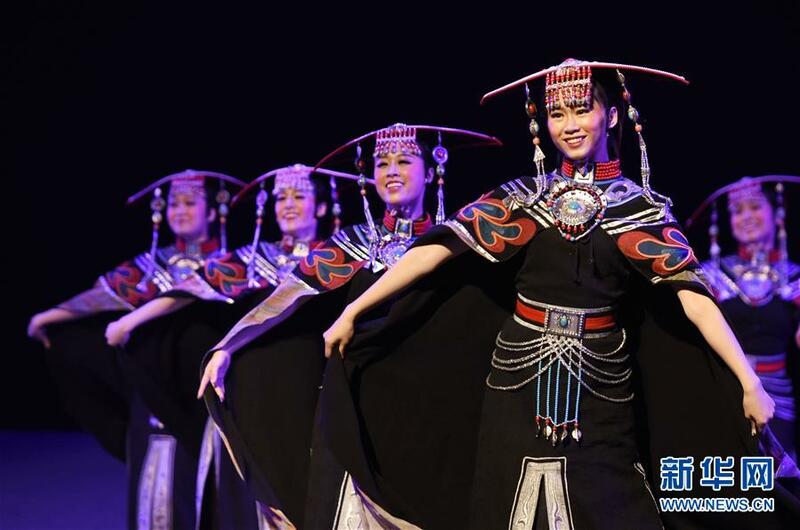 A female team from Inner Mongolia won the championship of the women’s group marathon at the 13th National Games held in Tianjin on April 29, marking the first gold medal for the Inner Mongolia sports delegation. The event was divided into professional and amateur games. The professional games included the men’s marathon, women’s marathon, and women’s team marathon. The amateur games involved men’s and women’s races. Also, a mini-marathon (5 km) attracted sport enthusiasts to the site. 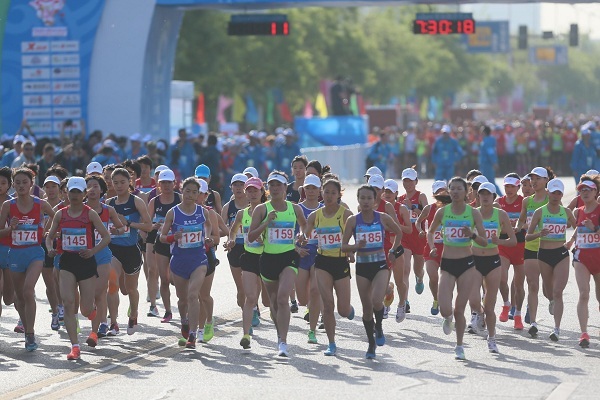 The marathons began at a square in Wuqing district of Tianjin with 4,248 participants out of an initial 10,263 applicants competing in the event. Among which, 120 were professional athletes from 24 national teams, and 4,128 runners from across China took part in the amateur marathons. 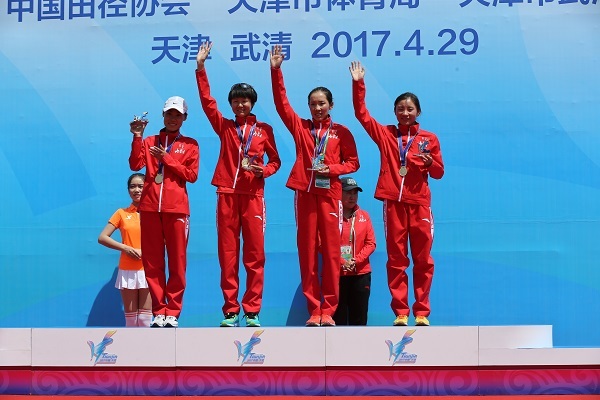 The four female racers were Gong Lihua (2 hr 36 min 48 sec), Zhang Yingying (2:37:46), He Yinli (2:40:11), and Jin Mingming (2:41:42), with a total time of 10:36:27 winning them the women’s group marathon championship. Teams from Jiangsu province and Yunnan province won second and third places during the women’s group marathon, according to the Chinese Athletes Association. Dong Jianguo representing Yunnan province took the first title with a time of 2:18:45 during the professional men’s marathon, and Yun Yanqiao on behalf of Shandong province won the championship in the amateur men’s marathon, only 14 minutes behind Dong. Guan Siyang from Inner Mongolia ranked fifth with a time of 2:21:30 during the professional men’s marathon. Wang Jiali from Hebei province was first to touch the finishing line of the professional women’s marathon with a time of 2:33:36, gaining the first gold medal of the 2017 National Games. Tang Hui, a PE teacher from a primary school in Zibo, Shandong province, won the amateur women’s race in 2:55:51. The prize for the top three winners in separate marathon divisions was 10,000 yuan ($1,450), 8,000 yuan and 5,000 yuan respectively. To guarantee runners’ health, the event organizers arranged 30 medical stations, 16 ambulance vehicles, 42 defibrillators, and emergency medical kits. Also, 100 doctors were on standby to provide medical care along the route.